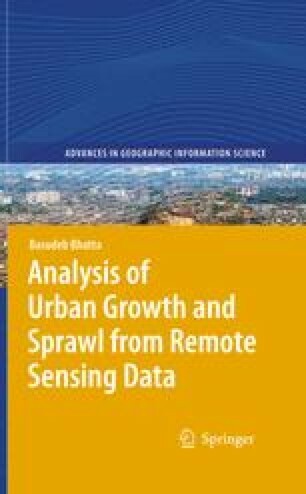 Understanding urban patterns, dynamic processes, and their relationships is a primary objective in the urban research agenda with a wide consensus among scientists, resource managers, and planners; because future development and management of urban areas requires detailed information about ongoing processes and patterns. Central questions to be addressed are on how cities are spatially organised, where and when developments happen, why and how urban processes resulted in specific spatial pattern, and ultimately what may be the consequences of such pattern and/or process. Answers to these questions will definitely help us to prepare for the future in an equitable and sustainable manner; in specific, how the future planning should be done, whether to be more restrictive, how to overcome the ill effects of urban growth and sprawl, what policies should be appropriate in balancing the various competing goals of sustainability, and so on.